Welcome daily creatives! We are a quiet revolution who are working to reclaim our creativity in every way we can. Check in each day to see if something here inspires you. This is a curated collection of thoughts, ideas and inspiration – enjoy! For my first post, I chose – “Brave & Gracias” because in this moment, I need every ounce of bravery I can muster just to press “publish”. As always, I try to be thankful for the sheer magnitude of what I have. What I have accomplished in my life, the loving people who chose me to spend time with and the opportunities afforded me. When I have these thoughts in my mind, it is a little easier to take the first step. I started art journaling this year. These are not the most fancy pages you will ever see. I did not purchase the volume of supplies which I see used by some people. But, like a yarn stash, my supplies are building along with my confidence. At the end of the day, for me, it is about the “words”. What they mean to me and how to mark them in a more permanent way, (I still love pinterest!) I really enjoy coming back to the pages and looking through them, reminding myself of the sentiments I hold dear. 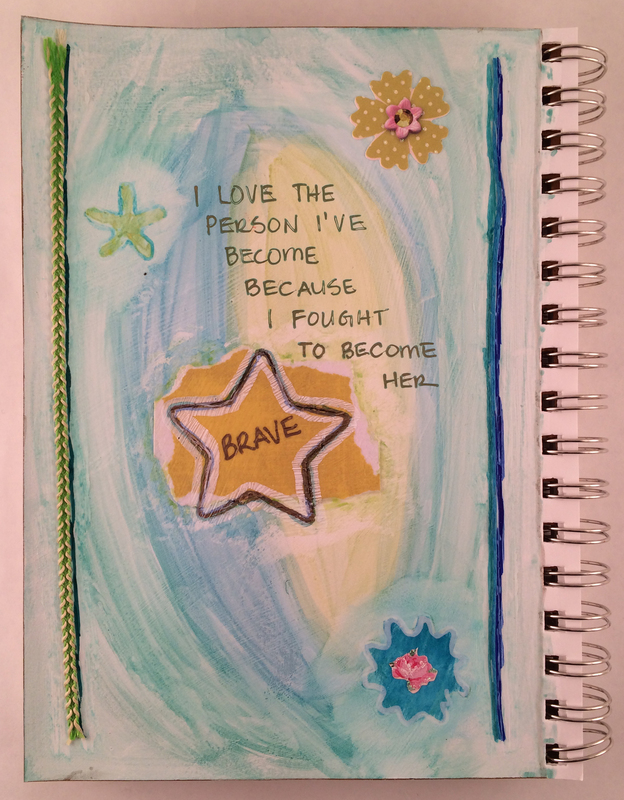 This is a spread in my 2015 art journal inspired by my word for the year, “brave” and a card I received from a dear friend. A dear friend of mine mailed me a fat envelope. I remember those from so long ago. A letter with heft. You went and got something to drink, found a comfortable chair and settled in for a nice long read. You might laugh and cry, all the while being amazed at the intimate treasures being shared. 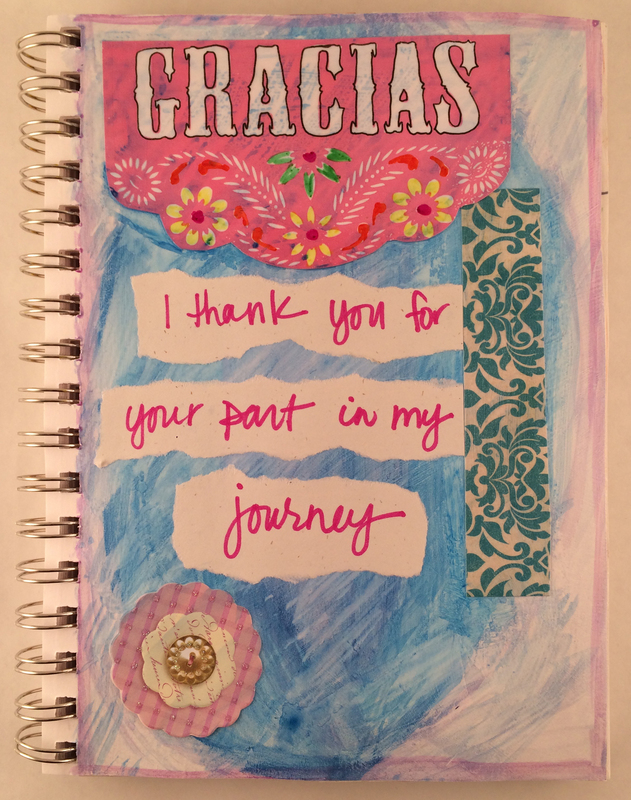 This one word, “gracias” was part of the card that held the pages. It had been so long since I received a letter, I had to make something extra of it in my art journal.